Technology is continuously developing, especially in the highly competitive healthcare industry. Going by historic data, healthcare industry has been one of the slowest adopter of technology; and surely for valid and obvious reasons to stay vigilant and conventional in approach. 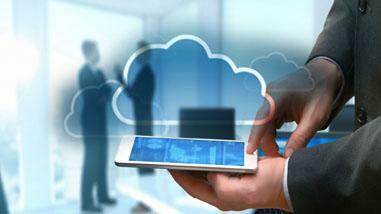 Cloud computing is altering the way healthcare providers deliver quality at affordable services. The global healthcare cloud computing market is forecasted to become $9.48 billion by 2020 from $3.73 billion in 2015 — growing at CAGR of 20.5%. The market will be dominated by North America, with Europe and Asia to follow. The growth will however, pressurize healthcare system infrastructure to maintain and improve access to quality care without overburdening the costs. 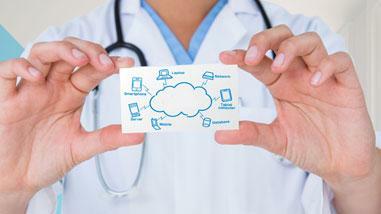 Healthcare providers have no choice but to embrace the cloud in some form. This transition is being driven by two forces: the business imperative to cut costs and facilitate better quality of care. 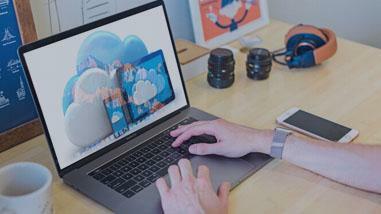 Let us discuss some of the benefits that cloud computing has been able to bring about in healthcare sector. Getting access to proper healthcare in remote areas is a greater challenge, mainly when patients have a busy schedule to chase. In the midst of the lifestyle upheaval, telehealth and virtual care solutions are gaining impetus with laws also being modified to accelerate adoption and reach out to the needy at large. Patients falter in following prescriptions as advised that many times leads in their re-admissions, costing a huge sum on healthcare insurance units and indirectly on the government. Automated messaging to keep a log of medicine refills before they expire or when to consume is expanding rapidly to avoid such burdens. Theft, counterfeiting, selling expired medicine are some of the problems which can be controlled by monitoring the supply chain. This has opened a vast market for solutions which monitor and log supply chain procedures in real-time and report suspicious actions. Mounting expenses of healthcare is debated the most amongst policy makers and yet no real solution has been employed to date effectively. One of the key factors that adds to the cost of healthcare is inadequacy of resources like medical staff, equipment and easy access to patient resource pool for clinical studies. With the use of artificial intelligence in the healthcare environment, healthcare experts’ capabilities can be expanded since data can be amplified with smart machine-based analytics for doctors to appraise. For clinical trials and scientific studies, a social network-based approach can be used to gain accessibility to the patient pool. Every healthcare organization that maintains and manages their own medical records witnesses a nightmare on the data security and compliance front, let alone that it adds significant cost for them to maintain their own IT infrastructure and be liable for all the data directly. Cloud-based solutions provide access to state-of-the-art security technologies, thereby minimize the individual liabilities on each of the healthcare organization. Each hospital or care provider who have in-house customized Electronic Health Record (EHR) system is not in favor of the consumer change. In addition to overburden the cost to the healthcare system due to the hassle of maintaining a different system for each hospital, it also makes more painful for patients to change their practitioners. What that means for patients is, they have to remain confined to a certain care provider and may not always get the finest care which could be the case if they had easy access to their EHR in a typical uniform format. As digital transformation spreads across the healthcare industry, improvements in connectivity, security, and cloud services technologies are allowing the healthcare ecosystem to solve numerous major challenges that the sector is facing — leveraging health clouds to address key issues. Cloud computing and healthcare industry are a perfect match – together they can give fantastic health services and reach out to the otherwise inaccessible patients. With recent advancements in cloud computing the healthcare ecosystem is positioned to make the most of networked applications, as a result create and deploy better healthcare solutions.